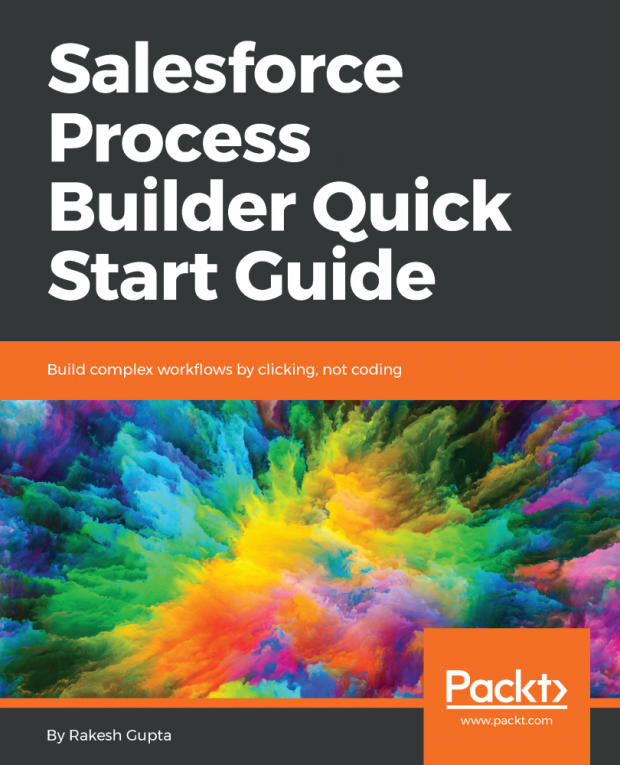 I am pleased to announce the release of Salesforce Process Builder Quick Start Guide. This is the first book I have published this year – my 6th book overall!. I will be authoring one more book which will be published next year. I am grateful to my supporters and critics, alike, for their constructive feedback. Thank you so very much! Salesforce Management System is an information system used in CRM to automate business processes – such as sales and marketing. Process Builder is a visual tool created to automate business processes in Salesforce. It enables users – with little, or no coding, expertise – to build complex Salesforce workflows. The book starts with an introduction to Process Builder – primarily focussing on building blocks to create Processes. You will learn about different applications of Process Builder for developing streamlined solutions. Once you master the basics, you will learn how easy it is to automate business processes and tackle complex business scenarios using Processes. The book takes a deeper dive into the workings of Process Builder and shows you how to create reusable processes. It also provides an in-depth explanation, with real-world examples, about how to migrate existing Workflow Rules to Process Builder. By the end of the book, you will have a clear, and comprehensive, understanding about how to use Flows and Process Builder to optimize code usage. This book is intended for those who want to use Process Builder to automate their business requirements by clicks – not code. Whether you are new to Salesforce, or a seasoned user, you will unearth valuable insights from the book and enhance your ability to creatively build ‘out-of-the-box’ solutions. Since Salesforce maintains an incredibly user-friendly interface, no previous experience in computer coding or programming is required. After completing this book, you will gain a deeper understanding of best practices and its applications. And much more – the list can go on! I would like to thank Arnab Bose, VP Product Management, Salesforce for writing the foreword for the book – I am truly humbled and honored! Arnab’s support has been a shot in the arm – it turbocharged my energy and inspired me to give my very best to my Salesforce Ohana! ← Uncover Hidden Nuggets of Validation Rule – prized arrows in Admin’s Quiver!